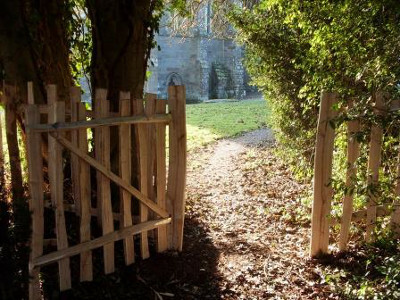 Say It With Wood have been providing fencing and forestry services for years. It is a hard wood and well known as being amazingly strong, durable and long lasting. 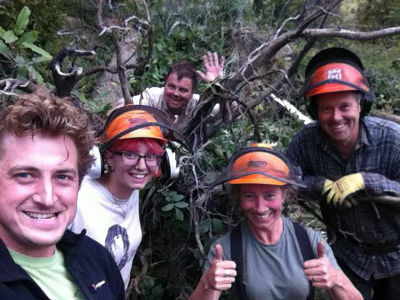 We can provide a range of services for the woodland, estate and garden owner. 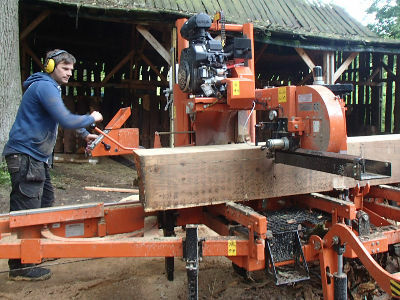 Our mobile sawmill can turn your trees into sawn boards and beams. 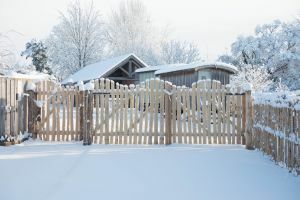 We supply and install a variety of traditional and rustic styles of fencing, gates and garden installations throughout Herefordshire, Shropshire, Gloucestershire, Worcestershire, the Midlands and the UK. All our products are made from sustainably harvested, naturally durable local timber. All of which is felled by our forestry team as part of sustainable woodland management. The timber is cleft (split along the grain rather than sawing through the fibres), milled and processed by us into bespoke and 'off-the-shelf' products. We are just as happy to sell single Chestnut stakes, posts and rustic poles as we are to supply large quantities of raw materials or finished products. We can provide the materials or design, construct and install your project for you. Our client base covers the domestic, estate, agricultural and commercial sectors. With many years experience of fencing, coppicing and forestry, we offer a variety of services and have the equipment and a qualified team for most jobs. Our clients include The National Trust, The Nature Trust, the Environment Agency and many more satisfied customers. For more information about Say It With Wood, to get updates from the team and find out what we have been up to visit us on Facebook. We are always happy to answer your questions about Chestnut fencing or using natural materials for your garden projects. We have an open yard - visit us and drop in to buy certain products kept in stock (no lead time!) and see all the wonderful products on display.